Lee says he made the transition from biology school teacher to railroad buff when he attended a meeting of the Railroad & Locomotive Historical Society- Golden Spike Chapter and was talked into becoming the Union Station’s librarian. Because his dad was a conductor on the Union Pacific from 1936-74, Lee thought this position would be a good way to honor his father. Lee uses his photography and organizing skills to create a railroad oriented library with over 33,000 photographs of railroad and other Ogden/Weber County historical subjects. The library also includes books, CDs and artifacts. Lee takes phone calls from all over the world from history aficionados seeking hard to find information. Lee is also the editor, photographer and writer of the R&LHS Golden Spike newsletter. When the Denver & Rio Grande #223 steam locomotive restoration projects began, Lee jumped right into becoming an active member of the restoration team. Lee says that the restoration of #223 has brought notoriety to the project throughout the world of narrow gauge railroad buffs. 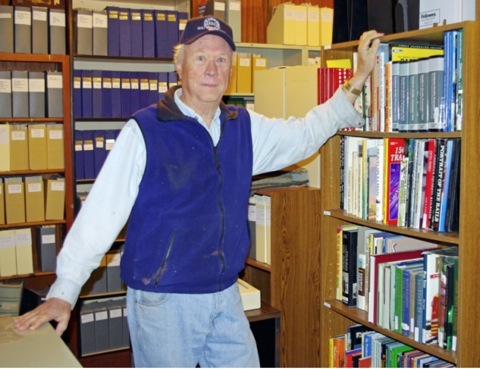 Lee states that his greatest satisfaction from his volunteer efforts is the preservation of history and the help he has been able to give researchers.